I'm getting ready to attend the American Library Association Annual Conference in Chicago this weekend. My bags are packed, and I have a stack of Nonfiction Detectives business cards ready to go (thanks to Louise!). I have several committee meetings on my schedule, but I'm also planning to spend some time on the exhibit floor and at various sessions. I'll be on the lookout for what's new in nonfiction children's books; and I hope to meet many authors and illustrators in the exhibit hall. Will you be in Chicago fo ALA? 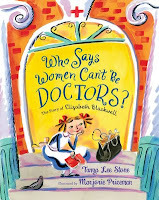 6:00-6:30 p.m. Tanya Lee Stone will sign copies of Who Says Women Can't Be Doctors? 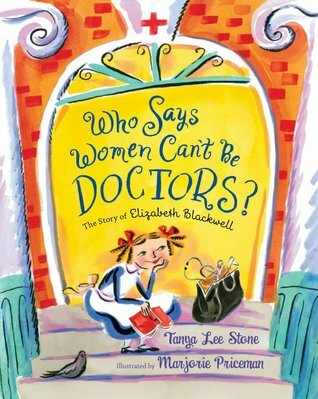 : The Story of Elizabeth Blackwell at the Macmillan booth. 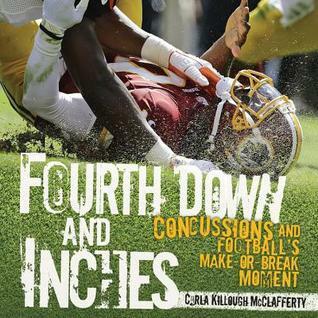 6:00- 7:00 p.m. Carla Killough McClafferty will be at the Lerner book signing copies of her latest Fourth Down and Inches: Concussions and Football's Make-or-Break Moments. 6:00-7:00 Sally M. Walker will sign copies of Their Skeletons Speak: Kennwick Man and the Paleoamerican World at the Lerner booth. 10:30-11:00 a.m. Jessie Hartland will sign copies of Bon Appetit! The Delicious Life of Julia Child at the Random House Children's Books. 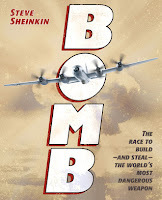 10:00-11:00 a.m. Seymour Simon will sign books at the StarWalk Kids Media booth. 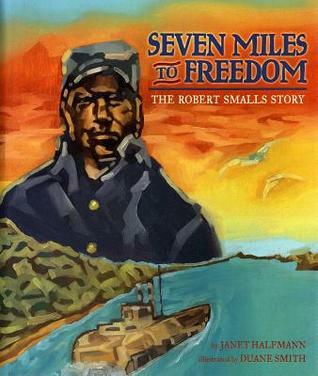 11:00-12:00 Janet Halfman will be at the Lee & Low booth signing copies of her new picture book Seven Miles to Freedom: The Robert Smalls Story. 11:00-12:00 Melissa Sweet signs Caldecott Honor, A River of Words, at the Eerdmans Publishing booth. 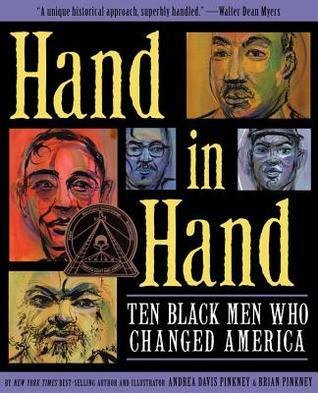 12:30-1:30 Meet Tanya Lee Stone, author of Courage Has No Color, at the Candlewick booth. 1:00-2:00 Deborah Hopkinson will sign Titanic: Voices from the Disaster at the Scholastic booth. 1:00-2:00 Melissa Sweet with sign A Splash of Red: The Life and Art of Horace Pippin at the Random House Children's booth. 1:00-4:00 2014 Notable Children's Book Committee Meeting (Hilton Chicago)- The committee will discuss the titles on this list. 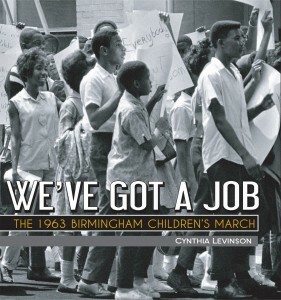 2:30-3:30 Cynthia Levinson will sign copies of We've Got a Job at the Peachtree Publishing booth. 3:30-4:30 April Pulley Sayre will sign copies of Here Come the Humpbacks! at the Charlesbridge booth. 4:00-5:00 Meet Kadir Nelson, author and illustrator of Nelson Mandela, at the Harper Collins Children's Books booth. 8:30-9:30 Auditorium Speaker Series: Temple Grandin Author, animal science specialist, and advocate for people with autism, Temple Grandin, will be the featured speaker on Sunday morning. 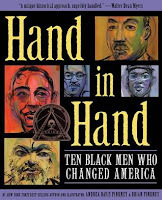 10:00-11:00 Andrea Davis Pinkney and Brian Pinkney will sign Hand in Hand: Ten Black Men Who Changed America (winner of the Coretta Scott King Author Award) at the Disney Hyperion booth. 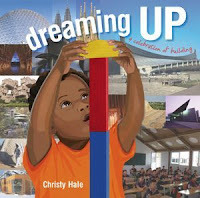 11:15-12:15 Christy Hale will sign Dreaming Up: A Celebration of Building at the Lee & Low booth. 12:00-1:00 Meet Derf Backderf, author of My Friend Dahmer, at the Abrams booth. 12:00-1:00 Meet Vladimir Radunsky, illustrator of On a Beam of Light: A Story of Albert Einstein, at the Chronicle Books booth. 2:30-4:00 It's Time for the Feud!...Family Feud! Librarians and authors will compete in a Family Feud-style game show at the Hyatt Regency. 3:00-4:00 Brian Floca will sign copies of Locomotive! at the Simon & Schuster booth. 4:00-5:00 Andrea Davis Pinkney and Brian Pinkney will sign Martin & Mahalia: His Words, Her Song at Little, Brown for Young Readers. 5:45-10:00 Newbery, Caldecott, Wilder Awards Banquet- If you don't want to shell out the money for a banquet ticket, you may sit in chairs in the back of the room and listen to the acceptance speeches. It's bound to be a magical night as we celebrate the 75th anniversary of the Caldecott Medal. 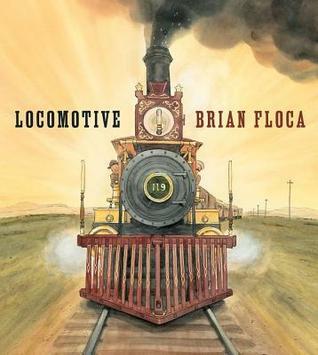 8:30-10:00 ALSC Awards Presentations- The Sibert, Geisel, Batchelder and Carnegie Awards will be presented at this time. 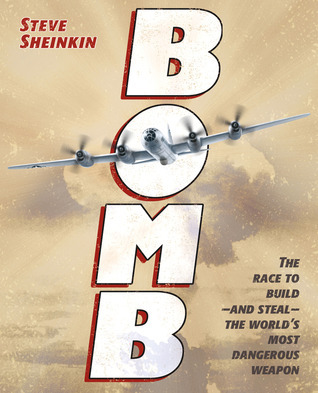 11:00-12:00 Steve Sheinkin will sign copies of Sibert Medal winner, Bomb, at the Macmillan booth. 11:00-12:00 Robert Byrd will sign copies of Sibert Honor book, Electric Ben, at Penguin Young Readers Group.